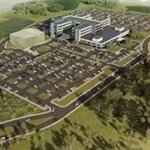 The Las Vegas, Nevada-based Allegiant disclosed in August this massive project covering 20 acres along Bayshore Road on the northern banks of the Peace River just west of U.S. 41. The company said its plans to put up in this site a 75-room resort hotel and as many as nine condominium towers with 720 units. Allegiant President John Redmond told media present during the company’s August press briefing for the project that this would the “the largest waterfront resort of its kind” in Florida. It would operate under the brand name Sunseeker Resorts, which Allegiant already uses for a travel publication and a website it maintains. In addition to its residential features, Sunseeker Resorts will also include at least 10 waterfront restaurants and shops; a thousand-foot long swimming pool; a private marina with rental watercraft and owners’ slips; and a full-service private health care facility and pharmacy. 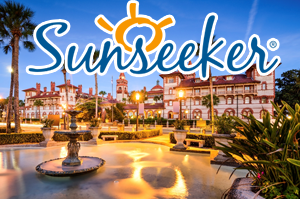 The Sunseeker Resorts, in addition, will also link up to the two county parks—Bayshore and Live Oak—on its riverfront road corridor. Sunseeker Resorts will likewise run a resident condo-rental scheme providing condo owners the opportunity to hold income-generating and easy-to-manage rental properties. In Allegiant’s initial sales offer, prospective condo buyers have purchase choices on units with one, two, and three bedrooms which they have the option to enter into the rental program. Allegiant has already named the design team for the Sunseeker Resorts—architectural firms Steelman Partners of Las Vegas and L2 Studios of Orlando. The project builders have been selected too—general contractors Manhattan Construction Group of Naples and Florida Premier Contractors of Charlotte. Groundbreaking for the project is targeted for the 2018 second quarter. The resort is expected to be substantially complete in 18 months in time for an inauguration in late 2019. Conservative estimates put at up to $1 billion Sunseeker Resort’s impact to the local economy over a 10-year period. Besides creating hundreds of construction jobs in the project’s building phase, 500 permanent jobs are projected once the resort is operational. It is also estimated that the resort will bring in an additional 300,000 visitors annually to the Charlotte County area. As it is, Allegiant Air is already contributing much to the local economy. It is estimated that the airline currently generates a $2 billion annual economic impact in Florida, and its presence in the state supports close to 21,000 jobs. This budget airline, the sole carrier for Charlotte’s Punta Gorda airport, estimated earlier that the local airport is its fifth largest base. In July, this airport notably marked 45 consecutive months of passenger increases on year-over-year comparison. 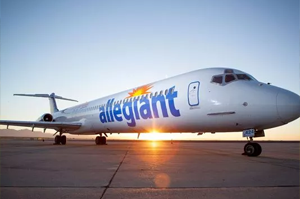 Allegiant’s Florida air service has risen to six cities and over 200 routes since 2005 when the airline launched its first destination in the state. New flights could be added, analysts believe, with Allegiant’s marketing push for Sunseeker Resorts, a drive that could likewise provide some exposure to the Charlotte real estate market as a whole.